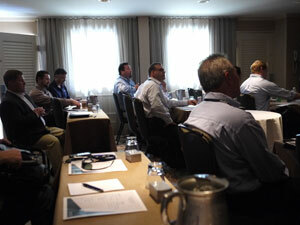 The Geomagic Partner Roadshows started in Newport Beach, CA. on October 11, 2011 with a packed conference room and attentive partners from many US West Coast locations. Somebody let our COO, Tom Kurke, out of the office to attend the event, but he did use the opportunity to give us a great insight of the future of Geomagic and briefs of our new features and capabilities of the up-and-coming new releases of our software. I would love to tell you everything about this presentation but I wouldn't have my job if I do - haha. 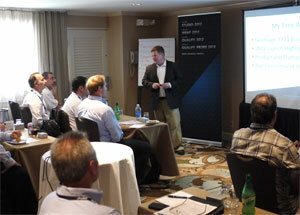 Following Tom's presentation, product managers Kevin Scofield and John Lockhart gave demos on the new releases. Partners were amazed by our innovation being put into the products. After the presentation, we had a great discussion on improving marketing with partners and building products for different industries. It was great to hear everyone's opinions and suggestions. 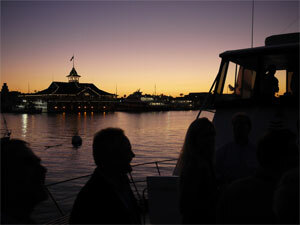 For the night event, we had a shuttle to HornBlower cruise. We watched the sunset while cruising around Newport Beach Harbor, had dinner on the boat and of course there were an open bar! It was a great time for building relationships with everyone on board! I want to say thank you to all the partners for participating this event. Please enjoy the photos below! I guess the COO got everyone's attention! The conference room is full! Our West Coast Sales team definitely look hungry! (Eric, today's blogger) is far left. Nick Moffit, center, catches up on his breakfast and Len Chamberlain proudly looks on. Sunset on the water - a perfect ending to a busy day! !